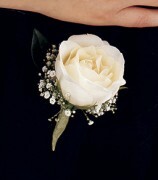 Click the button below to add the White Rose and Orchid Corsage to your wish list. 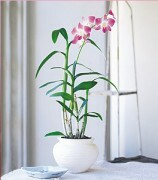 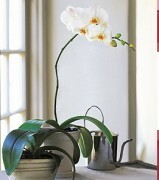 A traditional design of precious white flowers, perfect for the mother of the bride or the groom, or any honored guest. 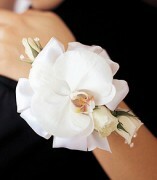 A corsage of white dendrobium orchids, white spray roses, seeded eucalyptus and ivy, accented by white chiffon ribbon.